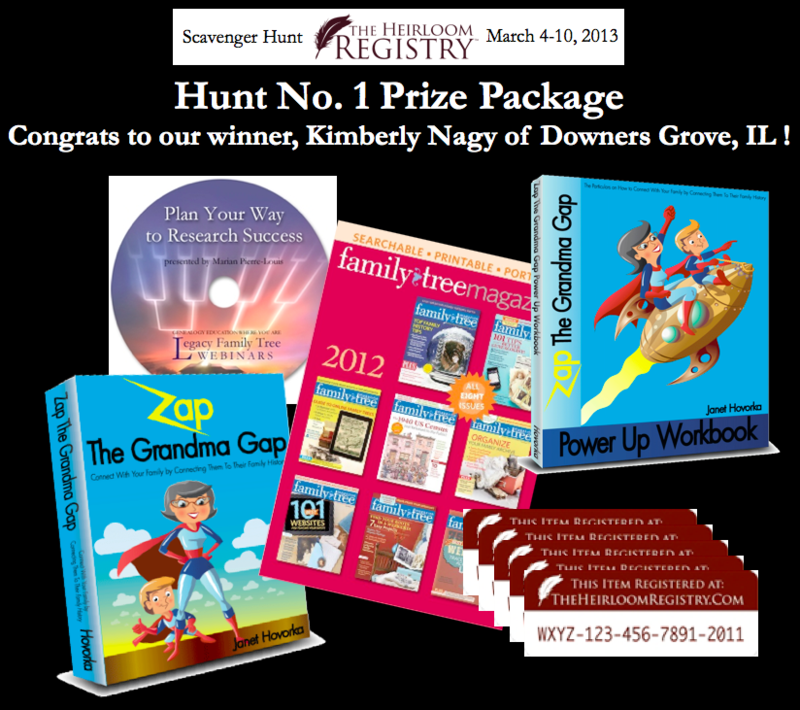 Well folks, we have a winner for the first leg of the Heirloom Registry scavenger hunt, which took place this past Monday and Tuesday: Kimberly Nagy of Downers Grove, Ill.! 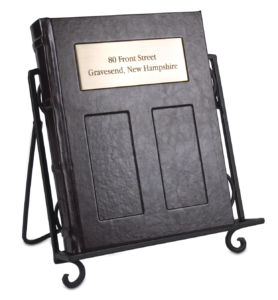 Kimberly will be awarded a family history prize package valued at approximately $100 that includes products from The Heirloom Registry, Family Tree Magazine, genealogists Janet Hovorka and Marian Pierre-Louis. By entering, she is also in the running for the grand prize to be announced next week. Congrats to Kimberly! For the rest of you, more than $300 in prizes still remain in the mix — including a Flip-Pal® mobile scanner. Hunt No. 2 is currently underway — but will end tonight at 11:59 PST, so don’t miss out on your chance to enter! All participants will be automatically entered into our grand prize drawing next Wednesday, March 13, and you are welcome to enter each race one time — meaning you will have multiple chances to win the grand prize. The third and final leg of the hunt — which runs from tomorrow until Sunday — will close out the weeklong event. For more information and to play, visit the Heirloom Registry Scavenger Hunt page.